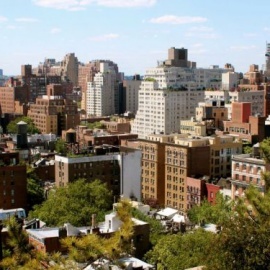 Located on the west side of Lower Manhattan, Greenwich Village, more commonly known to locals as "The Village," rests between the Hudson River and Broadway, south of 14th Street. Housing many of New York's upper middle class, but fondly remembered for its once strong Bohemian reputation, these residents share a unique pride for their community and its rich history. In addition to the amazingly high priced homes in The Village, this district shares some of the best restaurants in the Big Apple for people of all incomes. Many visit for the lively nightlife in Greenwich Village as well as the shops. Whatever it is that you decide to do, there is truly an endless amount of entertainment in Greenwich Village, all of which we provide information, ratings and reviews for. NYC Pride is thrilled to bring back our Cosplay event, in partnership with the creators of FlameCon, the LGBTQIA+ nonprofit Geeks OUT. So dress to impress and join industry insiders, media mavens and proud politicians for what will be the brunch affair of the season. Tickets include four hour unlimited open bar, VIP giftbag, and delicious brunch buffet.